Although it’s true that there is currently no scientifically-established method to cure tinnitus, researchers are hard at work to identify one. In the meantime, a variety of tinnitus therapy options exist that can grant significant relief. Think about it in this way. If you have a headache, you take Tylenol despite the fact that it doesn’t “cure” your headache. Pain relievers simply make the pain disappear into the background so that it doesn’t impact your day. Likewise, tinnitus therapies can help minimize the intensity of symptoms so that your tinnitus has very little affect on your daily life. Considering that everyone reacts to tinnitus in a different way, there’s no one-size-fits-all treatment. You’ll have to work together with your provider to uncover the approach that works the best for you. If you are afflicted by tinnitus, you’ll want to review the following treatment options with your hearing care or healthcare provider. 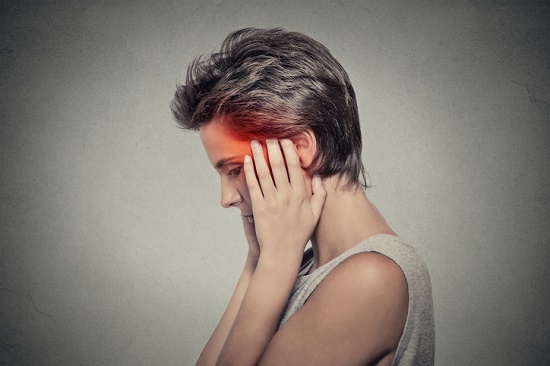 Although most instances of tinnitus are not curable—and are a consequence of hearing loss or other non-reversible injury—some cases are the consequence of an underlying physical condition. You’ll want to rule these out before seeking other treatment modalities. Possible physical causes of tinnitus include jaw joint problems (temporomandibular joint, or TMJ dysfunction), too much earwax or other obstructions in the ear canal, head and neck injuries, and responses to specific medications. The degree of tinnitus symptoms can fluctuate depending on overall health. Taking actions to enrich general fitness is, therefore, something tinnitus patients can get started on right away to reduce the extent of symptoms. Every person is different, and what works well for someone else might not be right for you. The purpose is to try out a variety of activities to find out what is most effective. Activities that have demonstrated promise include instituting a healthy diet, achieving plenty of physical exercise, meditating, and participating in activities like bicycling, which can cover up the sounds of tinnitus. Tinnitus is frequently associated with hearing loss and hearing injury. In response to reduced stimulation from outside sound, the brain goes through maladaptive changes that bring about the perception of tinnitus. By enhancing the amount of external sound, hearing aids can help mask the tinnitus, making the sounds of tinnitus less perceptible. Hearing aids also provide enhanced sound stimulation to the brain, which is considered to be neurologically favorable. Sound therapy is basically the delivery of sound in the form of white noise, pink noise, or nature sounds to reduce the perceived burden or severity of tinnitus. Sound therapy functions by covering up the tinnitus and also by teaching the brain to reidentify the sounds of tinnitus as unimportant. This double effect can minimize the short and long-term severity of tinnitus. Sound therapy can be provided through special tabletop gadgets, but also through portable multimedia devices and even through hearing aids. Medical-quality sound therapy incorporates custom sounds that match the pitch of the individual’s tinnitus for the best results. Remember that tinnitus is the sense of sound in the brain when no exterior sound is present. The ailment is, therefore, very personal, and each person responds a unique way. In fact, whether or not the individual perceives tinnitus as debilitating or minor is predominantly as a consequence of psychological reactions and not to the intensity or pitch of the tinnitus. That’s why cognitive/behavioral solutions to tinnitus therapy have been demonstrated to be exceptionally effective. A number of techniques are available, including Mindfulness-Based-Stress-Reduction (MBSR) and Tinnitus-Retraining-Therapy (TRT), which brings together cognitive-behavioral-therapy with sound therapy. Although there are no current FDA-approved medications for tinnitus, antianxiety and antidepressant prescriptions are often used to treat the behavioral responses to tinnitus. These medications do not appear to influence tinnitus itself, but may supply much-needed relief if thought necessary by your doctor. The search for a tinnitus cure is continuous. A number of experimental therapies are in development or evaluation and new methods become available each year. If your tinnitus is significant, and you’ve achieved very little benefit from existing therapies, you may be a candidate for one of these leading edge treatment options. Check out the Experimental Therapies webpage at the American Tinnitus Association website for more details. Tinnitus is being aggressively studied, with brand new discoveries and potential treatment options introduced every year. Even today, there are several encouraging treatments that, while not providing a cure, can offer significant relief. You owe it to yourself to investigate these options, remain positive and persistent in your tinnitus care, and work with your provider to fine-tune your treatment plan for the best results.